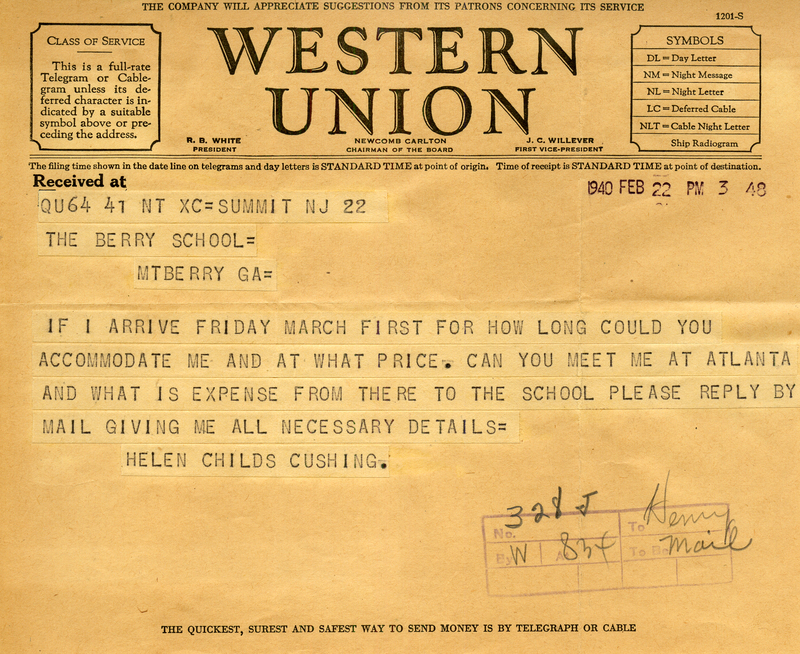 In this telegram, Helen Cushing asks The Berry Schools how long she could stay if she arrives on March first, and if someone could meet her in Atlanta. Helen Cushing, “Telegram to The Berry Schools from Helen Cushing.” Martha Berry Digital Archive. Eds. Schlitz, Stephanie A., Jordan Brannen, Jessica Hornbuckle, et al. Mount Berry: Berry College, 2016. accessed April 24, 2019, https://mbda.berry.edu/items/show/15426.